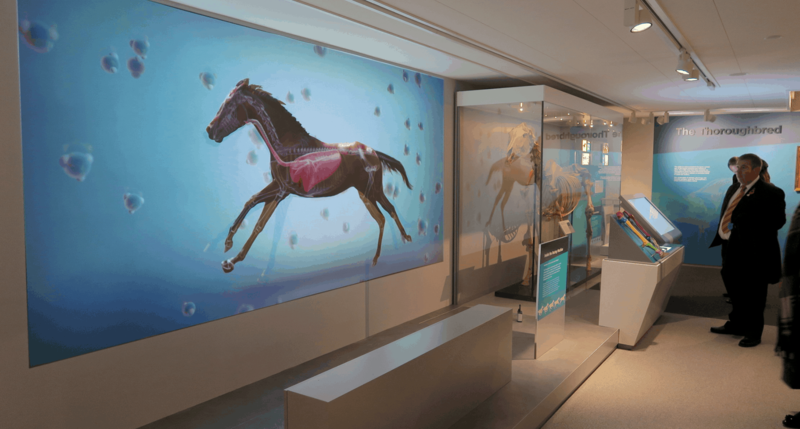 The project was the first phase in a redesigned and expanded museum and included 8 interactives, 26 videos and a multiscreen show. The multiscreen show, ‘The Winners Enclosure’, features reminiscences from famous names from the racing world including Frankie Dettori, AP McCoy, Lester Piggott, Dame Judi Dench and is presented by Clare Balding. The show plays out on 84” ultraHD portrait screens with participants appearing life size. 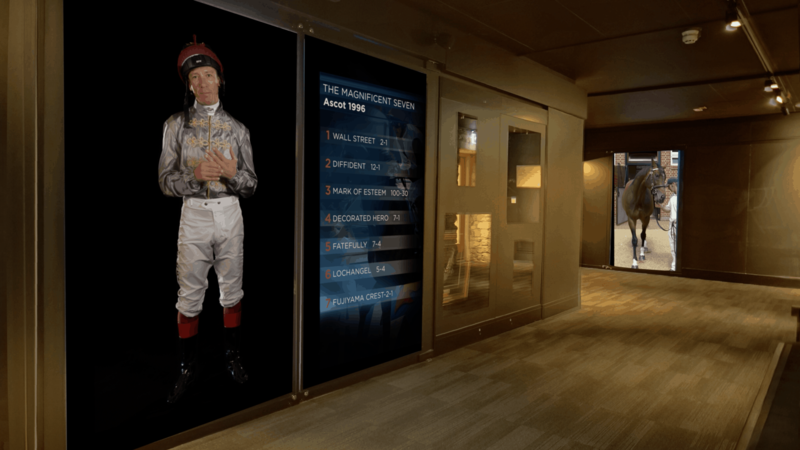 The videos use combinations of archive material, newly shot sequences, graphics, 2D and 3D animation to tell the story of horseracing from its early beginnings and explore the science behind the racehorse. 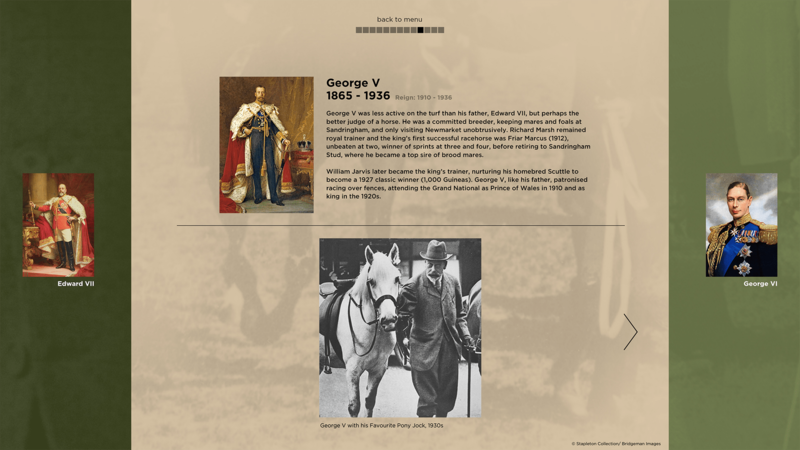 The interactives include information kiosks, a timeline, games and databases.